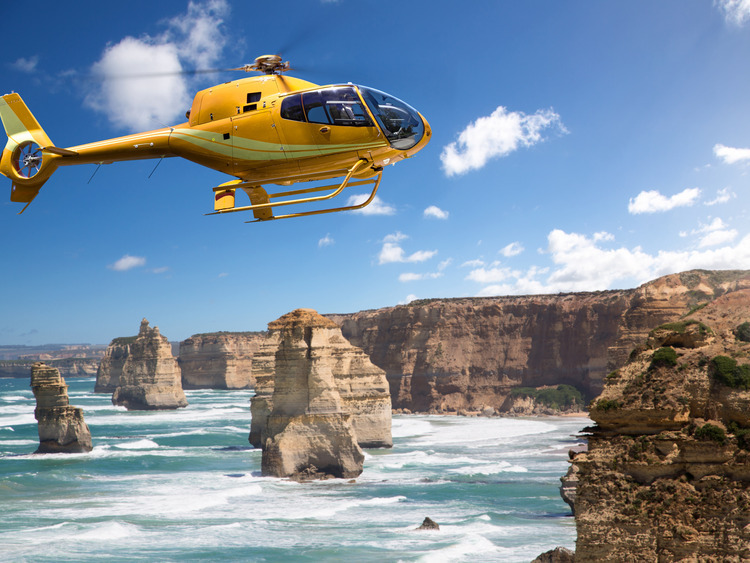 A breathtaking helicopter excursion to see the Twelve Apostles and the surrounding region from above. We leave the port by coach and, after a short journey, we reach an exclusive heliport in the heart of Melbourne. After receiving a few basic safety indications, we board the helicopter and start our panoramic tour heading towards the Twelve Apostles to admire this extraordinary wonder of nature from above. Located off the Australian coast of the Port Campbell National Park along the Great Ocean Road between Princetown and Peterborough, the Twelve Apostles are a collection of limestone stacks formed through the constant erosion generated over the centuries by the particular weather conditions of the Southern Ocean. During our flight back, we will see the Cape Otway rainforest, Apollo Bay and the famous Lorne waterfront. The excursion does not include a guide; the pilot will provide details in English during the flight.